Here's Lars Ulrich. I didn't finish this piece yet, and i'm planning to submit it into the local fair. What I still need to do is to round the eyes more, and darken the colors. This is James Hetfield. It was a simple sketch that I attempted to build onto. 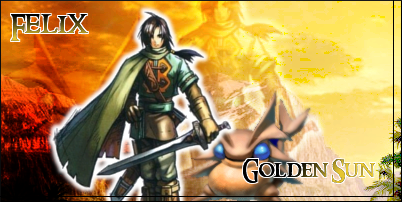 That... is my Gaian, LinktheGanonslayer. It's a poor excuse for avvy art, but bear with me for now. My only color painting/drawing. That's a pic of young Link that I drew about... 3 weeks before I bought Collector's Edition and pretty much replaced my blood with Majora's Mask. This is something I drew last night! I had like, insomnia, and artist's block, so I flipped through the Majora's Mask Manga, and found a pose that I liked. I sketched it, and changed around the setting, and made a Song of Storms effect. Media: Pencils, Pen, White-out, Calligraphy ink and a tissue. I can haz comments, nao? SOunds good! I'll be waiting!!! Those are amazing. I always like seeing your art. Did I say 3 weeks? I meant 4 months. But my blood is still replaced with Majora's Mask. Does this count as something? Anyway. This is probably what's gotten me to be well known on Gaia: That little sucker who had the courage to cosplay Deku Link AND GET A 4/5 IN THE ARENAS WITH IT. I'm so proud of me. Dude, I'm on Gaia!!! And That's Pretty amazing! I'll give you that, your art isn't half bad. In fact it's actually quite good. Personally, my favorite would have to be the last one, the one where Link is playing the Song of Storms. OH LZF4 don't do that! I WANA! Link in the rain is aweeessssssssssome! You're very talented! idk, ever since MM, I also replaced my blood with anything Deku. Don't look at me like that! They're cool! 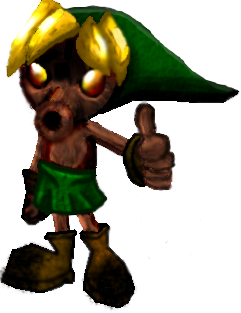 So, I've been trying to work on a pic of Deku Link (I have a few), and make it look like I put forth a lot of effort (only 1 or 2). The only flaw with it is another clump of hair right in the middle. That is manily an airbrush, fill bucket, and smudging in GIMP. Keep on making the great art. I like it! Well done! I don't even think it needs a hair piece in the middle, it's great!